Recent years have seen major changes in the approach to Computer Aided Design (CAD) in the architectural, engineering and construction (AEC) sector. CAD is increasingly becoming a standard design tool, facilitating lower development costs and a reduced design cycle. Not only does it allow a designer to model designs in two and three dimensions but also to model other dimensions, such as time and cost into designs. 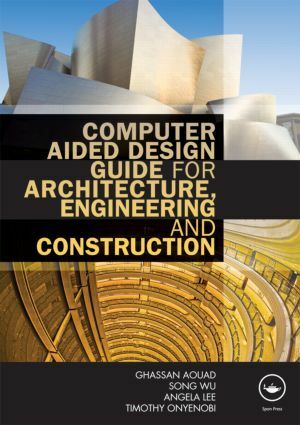 Computer Aided Design Guide for Architecture, Engineering and Construction provides an in-depth explanation of all the common CAD terms and tools used in the AEC sector. It describes each approach to CAD with detailed analysis and practical examples. Analysis is provided of the strength and weaknesses of each application for all members of the project team, followed by review questions and further tasks. parametric design, virtual reality and other areas of future expansion. With practical examples and step-by step guides, this book is essential reading for students of design and construction, from undergraduate level onwards.